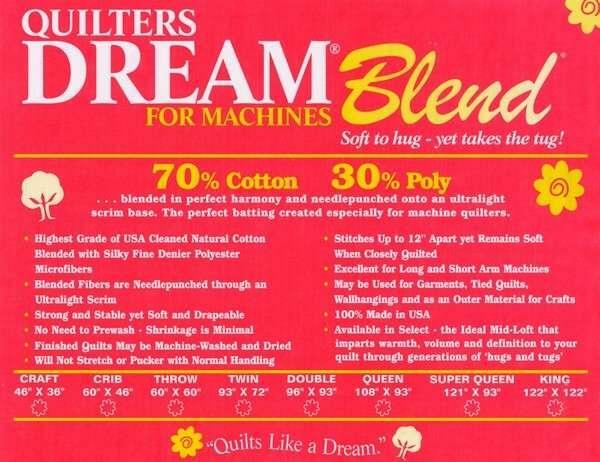 Quilters Dream Blend Mid Loft Batting for Machines, NaturalQueen 93inx108in. 70% Cotton and 30% Polyester. Stitches upto 12in Apart, 6 Per Box, International Only, No US orCanada Sales.